Anthony Peter Smith is born September 23 in South Orange, New Jersey to Josephine (nee McCabe; 19xx-1941) and Peter Anthony Smith (1882-1940). He is the second of seven children, and a third generation descendant of an Irish family. His father is a mechanical engineer and the primary stockholder in the A. P. Smith Manufacturing Company, a municipal waterworks factory, founded in the late 1800s by Anthony Peter Smith, his grandfather. His mother is a homemaker whose family owned a boiler works factory. 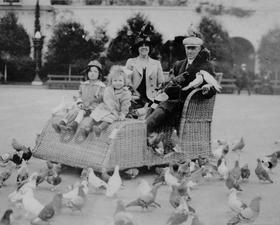 Travels cross-country with his parents and older sister by railroad to see the Panama-Pacific International Exposition in San Francisco. In later years, he will recall seeing the Palace of Fine Arts designed by Bernard Maybeck, at the Exposition, as well as the Ancestral Pueblo habitation sites they visited in the Southwest. Contracts tuberculosis around 1916. In order to speed his recovery, and to avoid infecting his brothers and sister, he is moved out of the family home and into a small, prefabricated house on the property; a nurse is hired to care for him. Is tutored at home and also sporadically attends Sacred Heart Elementary School in Newark. Commutes from South Orange to New York City to attend St. Francis Xavier, a Jesuit high school, graduating in December 1930. Attends Fordham University in the Bronx in the spring and summer of 1931, and Georgetown University from September 1931 to January 1932. Returns to South Orange; operates a second-hand bookstore on Broad Street in Newark, New Jersey. Visits "Modern Architecture: International Exhibition," a show introducing the emergent International Style of architecture, at the Museum of Modern Art in 1932 and is deeply impressed by the work of Le Corbusier, Walter Gropius, and Mies van der Rohe. Begins a series of paintings based on modular structures. Works for the A.P. Smith Manufacturing Company as a toolmaker, draftsman and purchasing agent. 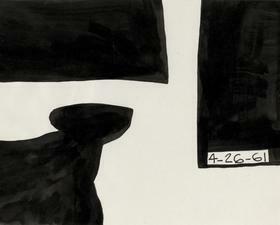 At night, commutes to New York City to study drawing and painting at the Art Students League. Studies anatomy with George Bridgeman, drawing with George Grosz, and painting with Vaclav Vytlacil. Frequents the Gallatin Collection of Living Art at New York University, and the Museum of Modern Art where in 1936 he visits the exhibitions "Cubism and Abstract Art" and "Fantastic Art, Dada, Surrealism." Moves to Chicago to study architecture at the New Bauhaus where Lázsló Moholy-Nagy is director. Teachers include György Kepes (drawing, lettering, layout, design), Alexander Archipenko (sculpture), and Henry Holmes Smith (photography). 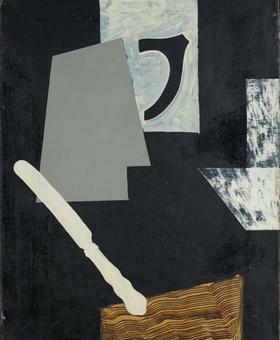 Particularly enjoys Hin Bredendieck's metal workshop and is appointed head of the workshop by Moholy-Nagy. 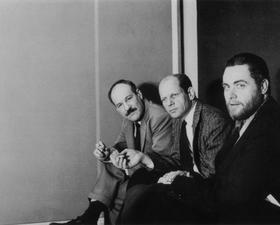 Befriends artists Fritz Bultman, Gerald Kamrowski, and Theodore van Fossen. 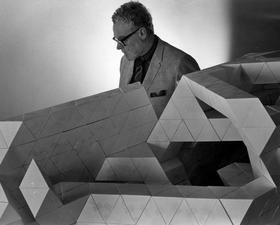 With van Fossen and others, protests the curriculum's emphasis on industrial over fine arts and opposes Moholy-Nagy's choice of George Fred Keck as architecture instructor. Visits the writer John Feeley in Critchell, Colorado, where he builds his first structure, a chicken coop. 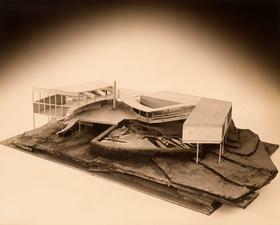 In the spring of 1938, sees Frank Lloyd Wright's Ben Rebhuhn House in Great Neck, Long Island. Begins work that fall as a carpenter's assistant and bricklayer at Wright's Ardmore project outside Philadelphia; eventually becomes Clerk of the Works. Also calculates construction costs for Wright's Usonian houses. 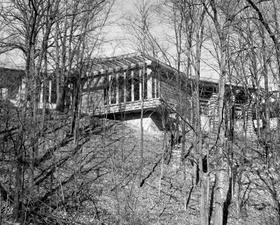 After a brief stay at Taliesin, Wright's home in Wisconsin, he helps build Wright's Armstrong House in Ogden Dunes, Indiana. In 1940, builds a house with Theodore van Fossen (his partner until 1944, in Smith van Fossen) and Laurence Cuneo for the Gunning family in Black Lick, Ohio. Father dies December 1, 1940 from a sudden heart attack. Mother dies a few months later on March 31, 1941. Moves to Greenwich Village in late 1941. 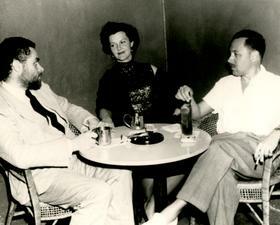 In 1943, moves from New York to Los Angeles with actress and opera singer Jane Lawrence (nee Jane Brotherton); they marry on September 25 of that year in Santa Monica, with Tennessee Williams as the only witness. They live in a storefront loft in Hollywood at 1652 North Harvard Boulevard. 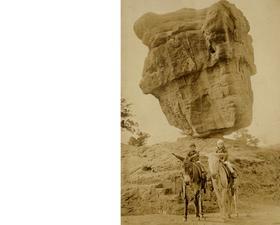 Meets photographer Edmund Teske. Has various jobs, including working for a plant nursery and for Viennese furniture designer, Paul Frankl. 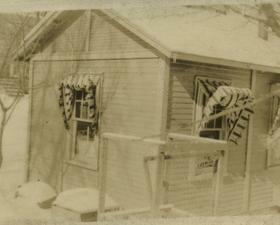 In 1944, designs and builds a house for his father-in-law, L. L. Brotherton, in Mt. Vernon, Washington. Between 1943 and the summer of 1945, writes The Pattern of Organic Life in America, in which he develops philosophical ideas and personal iconography central to future work. In summer 1945, returns to East Coast. 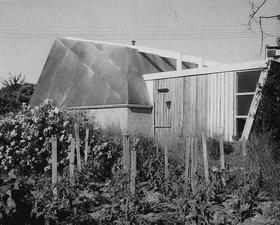 Designs and builds a painting studio for Fritz Bultman in Provincetown, Massachusetts. 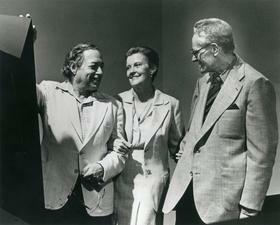 Smith's friends Hans Hofmann and Ann Ryan are there; meets Buffie Johnson, who introduces him to Barnett and Annalee Newman. Moves to New York City in the fall, and eventually settles at 51 West 16th Street. Begins teaching art to children at Hartley House, a settlement house in Manhattan (1946-52); also teaches at NYU School of Education (1946-50). 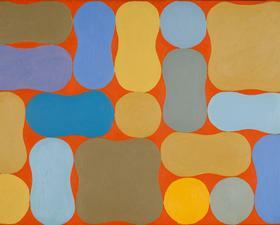 Attends the New York Structural Institute (1950-52); studies physical sciences, engineering, archeology and color. Becomes close friends with Abstract Expressionist artists, including Mark Rothko, Jackson Pollock, Barnett Newman, Clyfford Still, and Theodoros Stamos. Designs exhibition installations for New York galleries and museums, notably Betty Parsons Gallery (1949-53). Architectural commissions increase; and around 1951 hires two assistants. Builds a house for Theodoros Stamos on Long Island. 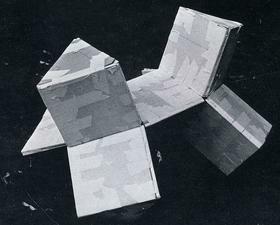 Teaches at Cooper Union (1950-52), and at Pratt Institute of Art (1951-52, Architecture and Three Dimensional Design). 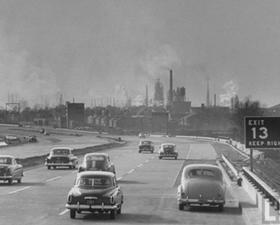 Takes Cooper Union students for a drive on the unfinished Jersey Turnpike, which changes many of his ideas on art. Designs and builds home for Fred Olsen in Guilford, Conn. Commission includes design and build of a separate house for Olsen's son on nearby property. Leaves New York City to join Jane, who is singing opera in Germany. After a brief visit with friends in Stuttgart in the summer, the Smiths tour Europe, visiting Italy, France, and Spain. 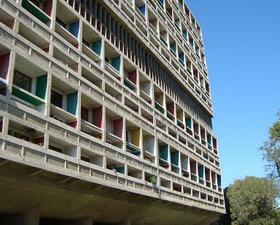 For Smith, the highlight of the trip is seeing Le Corbusier's Unité d'Habitation apartment complex in Marseilles. The Smiths resettle in Nuremberg. Daughter Chiara (Kiki) is born on January 18. Work abroad includes numerous unrealized and visionary architectural designs (among them "Orient Express," "Glass Ranch House," and "Project for a Roman Catholic Church in an Ideal American Landscape"). Makes gridded circle paintings, including the Louisenberg series. In May of 1955, the Smiths return to the family home on Stanley Road in South Orange. Twins Anne (Seton) and Beatrice are born on July 24. 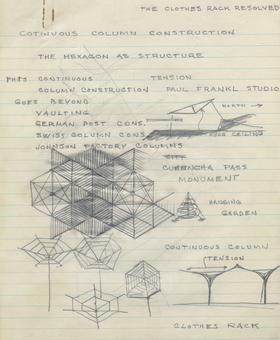 In addition to his work as a draftsman for the architectural firm of Edelbaum and Webster (1955-56), accepts teaching positions at various institutions, including the Delahanty Institute (1956-57) and Pratt Institute of Art (1957-60), both in New York. 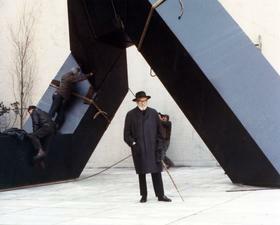 Makes his first titled sculpture, Throne (1956-57). Tony Smith, South Orange, NJ, c.1960, with charcoal drawings done in Germany, 1954. Begins to phase out architectural work. Teaches at Bennington College, Vermont (1958-61); courses include painting classes and "Space", a basic architectural design class. In the spring of 1961 is seriously injured in an automobile accident in Vermont and as a result, develops a blood condition, polycythemia (marked by an unusual number of red cells in the blood). During convalescence creates bold, graphic ink drawings and begins to make sculptural shapes by taping together small tetrahedral modules. Explores the formal possibilities of the cube in drawing, painting, and sculpture. Begins teaching at Hunter College, New York (1962-74). 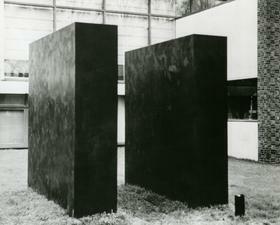 In 1962, makes Black Box, his first sculpture in steel. 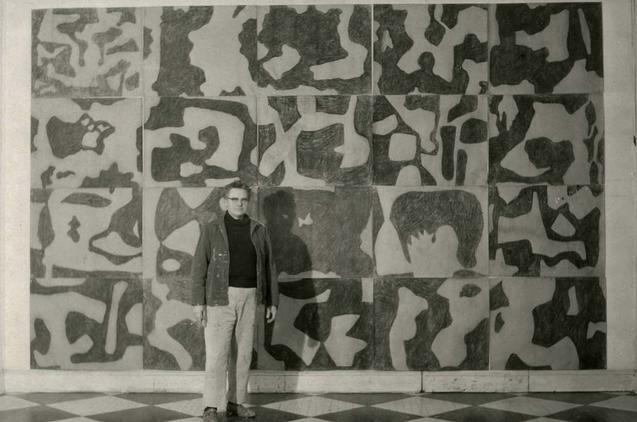 In November 1963, Samuel Wagstaff, Jr., curator at the Wadsworth Atheneum, Hartford, Connecticut, visits Smith in South Orange, having heard a lecture by artist Raymond Parker discussing some of Smith's new work. Wagstaff selects The Elevens Are Up (1963) for Black, White, and Gray (1964), a group show that features mostly young artists, including Ann Truitt, Agnes Martin, Robert Morris, and Frank Stella, among others. 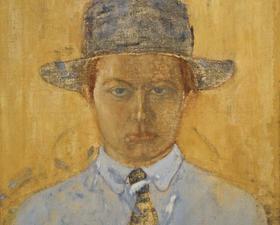 This is the first public exhibition to include Smith's work; he is fifty-one years old. 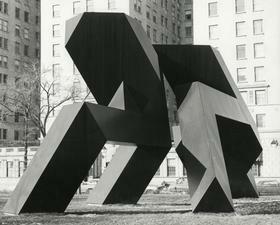 In the spring of 1966, Smith's 1962 sculpture Free Ride is included in the group exhibition, "Primary Structures" at the Jewish Museum in New York. In the fall of 1966, "Tony Smith: Two Exhibitions of Sculpture," his first solo exhibition, is on view simultaneously at the Wadsworth Atheneum in Hartford and at the Institute of Contemporary Art in Philadelphia. Press includes "Talking with Tony Smith," Artforum, December 1966. 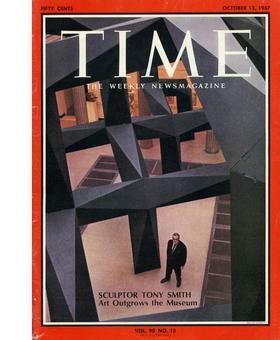 A Time magazine cover article ("Master of the Monumentalists," Time, October 13, 1967) dramatically increases Smith's public profile, as does the outdoor exhibition of eight large-scale sculptures in Bryant Park early in 1967. Other important installations include Maze, in the exhibition "Schemata 7," Finch College Museum of Art, New York, 1967, and Smoke, in "Scale As Content: Ronald Bladen, Barnett Newman, Tony Smith," at the Corcoran Gallery of Art, Washington, D.C. 1967. In 1968, is included in the XXXIV Venice Biennale, and Documenta 4 in Kassel, Germany. In the late 1960's, envisions various unrealized site-specific projects, including Lunar Ammo Dump (1968) for the University of Illinois at Chicago Circle, Mountain Cut (1968-69) for Valencia, California; and Haole Crater for the University of Hawaii, Honolulu, where he taught during the summer of 1969. In the spring of 1969, takes part in the Aruba Research Program. That same summer, designs Bat Cave, exhibited at Expo'70 in Osaka, Japan, and in the "Experiments in Art and Technology" exhibition at the Los Angeles County Museum of Art in 1971. 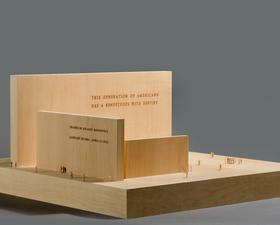 In 1971, receives a Fine Arts Medal from the American Institute of Architects. Eighty-One More (a plywood mock-up at one-fifth the intended size) is installed in the lobby of the Museum of Modern Art in 1971, coinciding with the installation of Barnett Newman's Stations of the Cross. 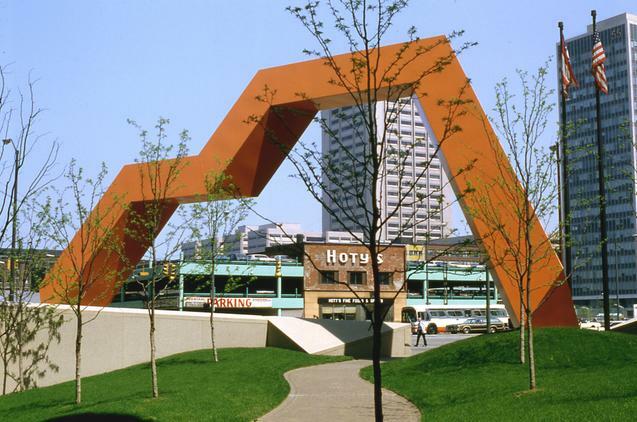 In 1972, Gracehoper, at the time the largest freestanding outdoor sculpture in the United States is installed at the Detroit Institute of Arts. In 1973, travels to Carrara, Italy to work with carved marble, creating For Dolores (Flores para los muertos), Fermi, and other designs based on topological Klein surfaces. In 1974, receives a Distinguished Teaching of Art Award from the College Art Association, and a Creative Arts Award in Sculpture from Brandeis University. Begins teaching at Princeton University (1975-77). 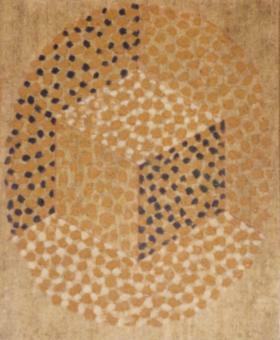 Conceives The Fourth Sign, Untitled (Jim's Piece), and Ten Elements. In 1976, conceives Lippizzaner, One-Two-Three, and Throwback, and in 1979, conceives and installs Last for the Ohio Building Authority in Cleveland. Elected to the American Academy and Institute of Arts and Letters in 1979. Conceives Untitled (Five C's), Untitled (Atlanta), Untitled (Row 1), and Untitled (Row 2). Dies in New York City on December 26.